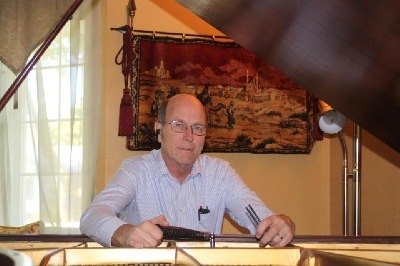 For the past twenty-five years, I have been doing piano tuning and repair in the greater Salem, Oregon area. While most of my customers live in and around the Salem area, I also service pianos for customers in McMinnville, Woodburn, Silverton, Stayton, Albany, Corvallis, as well as Dallas, Independence, and Monmouth. Three questions people frequently ask when calling about having their piano tuned are "How much does it cost?" , "How long does it take?" , and "How soon can you do it?" The cost for a typical tune-up is $85. A tuning takes one and a half to two hours. A tuning can be scheduled two or three days in advance, and in some circumstances on the same day as phone contact. In addition to tuning, I also do some repair work, including replacing broken wires, missing key-tops, hammers, bridle tapes, and action parts necessary to facilitate the tuning. I look forward to an opportunity to sevice your piano.